New York City provides an excellent jumping off point for reaching many golf courses via short day trips, like Buck Hill Golf Club in nearby Pennsylvania, or Hanah Mountain Resort & Golf Club in upstate New York. Whether it’s the challenge, history, or scenery golfers seek, these 25 courses are the perfect place to start. 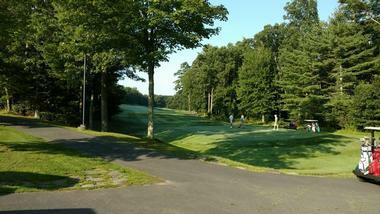 Buck Hill Golf Club is a premier golf club that is located in the Pocono Mountains, in Buck Hill Falls, Pennsylvania. 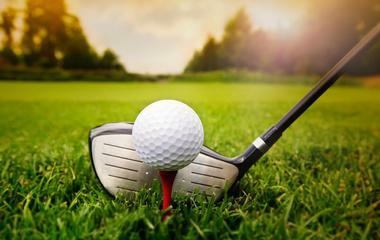 The course is approximately a 90-mile drive northwest from downtown New York City. Buck Hill Golf Club has a rich and storied past. The first nine holes of the course were opened to the public in 1907, quickly establishing itself as a one of northeast Pennsylvania’s top courses. As golfers play their way through the course’s wooded and rolling mountainside terrain, they’ll experience the timeless, 27-hole masterpiece designed by legendary architects Robert White and Donald Ross. They’ll appreciate Buck Hill’s ridgeline silhouettes, classic subtleties, and relentless undulations. Catskill Golf Resort is a public championship golf course that is located at 27 Brooks Lane in Catskill, New York. This sprawling, 18-hole layout is one of Mid-Hudson Valley’s most challenging and scenic golf courses. 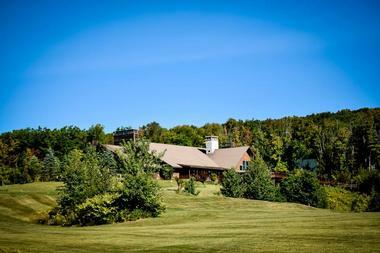 As golfers enjoy their rounds, they’ll be taking in spectacular views of the surrounding Northern Catskill Mountains. This premier golf resort is also equipped with a sensational restaurant – Bistro 27, as well as a shimmering swimming pool for refreshing dips during the summer time. Golfers will appreciate the resort’s Catskill Golf Club Pro Shop, an attractive shop equipped with a plethora of golf items that include footwear, apparel, equipment, bags, and accessories. Championship Golf at the Blackhead Mountain Lodge & Country Club is a magnificent, par-72, 18-hole championship golf course that is located on Crow South Nest Road in Round Top, New York. The course was originally designed by Nicholas Psiahas, with the first nine holes of the course opening in 1990, and the second nine being added in 1999. The course requires a great deal of strategical shot placement, with its narrow, tree-lined fairways, two-tiered greens, doglegs, bunkers, and water hazards. When golfers get the opportunity to take a quiet moment away from the fun and challenging golf course, they’ll enjoy breathtaking views of the surrounding Catskill Mountains. 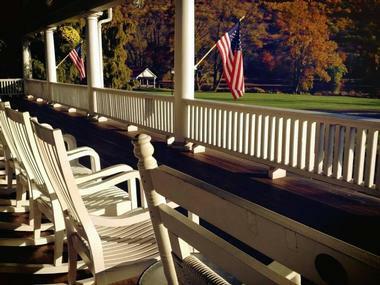 Christman’s Windham House Country Inn and Golf Resort is a gorgeous hotel and championship golf course that is situated just off of State Route 23 in Windham, New York. There are four features of the course that Christman’s puts an emphasis on; that is the 7,150-yard Mountain Course, the 9-hole Valley Course, golf school and practice facility, and club fitting with a professional staff. The Mountain Course is kept in tournament-level condition, offering its players rewarding golf shots and spectacular scenery on every hole. The Valley Course has been in operation since 1965 and features lush-green, wide-open fairways, beautiful mountain views, and a quick 1.5-hour-round playing time. 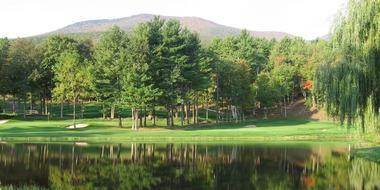 Colonial is a marvelous public golf course that is located just off of Main Street in Tannersville, New York. Situated within the Great Northern Catskills, this 9-hole, par-35 course stretches to 2,591 yards in total length. The course was designed and constructed in the early 1920s using the natural contours of the land, boasting many characteristics that are similar to traditional layouts. Golfers will have the opportunity to join leagues, take lessons from Class-A PGA teaching instructors, and enroll in course memberships. Colonial is also equipped with a bar, café, golf carts, and a fully-stocked pro shop. Golfers will appreciate the course’s lush-green, tree-lined fairways, immaculate greens, and breathtaking views of the Catskill Mountains. Country Club of the Poconos Municipal Golf Course is a gorgeous public golf course that offers excellent playing conditions with affordable rates in East Stroudsburg, Pennsylvania, about 83 miles northwest of New York City. This 18-hole championship golf course if perfect for all skill levels, and is a great way to spend the day in idyllic weather. The course is set against the Pocono Mountain foothills and the Allegheny Plateau, offering breathtaking scenery in every direction. It provides many challenges; hills to climb; wetlands to carry; strategically placed sand traps and elevated greens, to name just a few. It’s also equipped with a fully-stocked pro shop and charming bar/grill area. Doral Arrowwood is a challenging and uniquely designed golf course that is located in Rye Brook, New York. This Westchester 9-hole golf course was beautifully designed by Robert von Hagge – the talented mind behind the creation of the famed Blue Monster course in Miami, Florida. Doral Arrowwood has been recognized as one of the most challenging courses in the country, with its extreme undulations and elevation changes, slippery greens, and strategically positioned hazards. Golf in the fall is simply magnificent, with the fairways sharp green and rolling, and all of the leaves on the trees turning wonderful reds, yellows, and oranges. The resort is also equipped with several dining options, including Mulligan’s Outdoor Café, overlooking the ninth green. Hanah Mountain Resort & Golf Club is an elegant resort with a stunning, 18-hole championship golf course in Margaretville, New York. 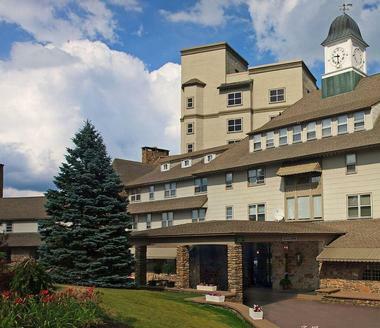 The resort is situated approximately a 2 ½-hour drive north from downtown New York City, just far enough from the big city’s hustle and bustle. 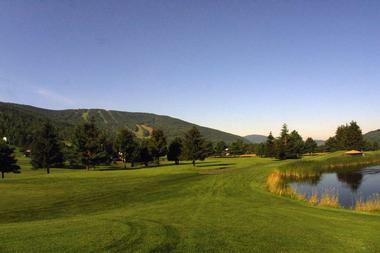 Golfers will enjoy misty mornings and expansive mountain views of the Catskill Peaks. This 18-hole championship course was designed in the year of 1958 by renowned Architect Ferdinand Garbin. The signature 13th hole was dubbed “The Terminator” by Golf Digest, playing as one of the most difficult holes in the United States. Golfers can head to the ‘19th hole’ afterward for a juicy burger and refreshing pint to cap off the perfect day. Hideaway Hills Golf Club is a premier, par-72, 18-hole, 6,933-yard golf course that is located in Kunkletown, Pennsylvania. 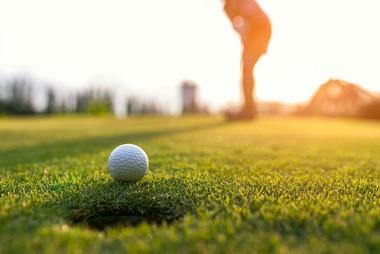 Golfers looking to escape the chaos of New York City while working on their swing, will want to check out the lush-green, rolling hills of Hideaway Hills in the Pocono Mountains. This well-manicured golf course offers plenty of challenge and beauty, from the 60+ sand traps to the four shimmering lakes, and the signature Island Green to the spectacular elevation changes. The course also provides excellent practice facilities in the form of a chipping green, two-tiered driving range, and undulating putting green. Golfers a sure to enjoy a relaxing round filled with marvelous scenery at Hideaway Hills. Stretching over 7,200 yards, Jack Frost National Golf Club is a large, championship golf course that is located in Blakeslee, Pennsylvania, about a 2-hour drive northwest from New York City. The course embraces the marvelous Pocono Mountains, with its impressive elevation changes and magnificent vistas. Unlike most mountain courses, Jack Frost provides easily identifiable target areas, wide fairways, no blind shots, and few uneven lies. 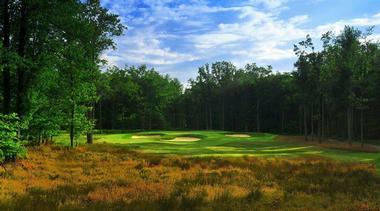 The beautiful oak forest frames the intricate movements of each unique golf hole. The course also features a newly revamped practice area that includes a two-tee area for short game, a chipping green, full driving range, fairway bunker, and an immaculate putting green. Mohonk Mountain House is a Scottish-inspired, 9-hole golf course that’s surrounded by lush-green rolling hills in New Paltz, New York. The course was named a “Dream Eighteen” destination by The Poughkeepsie Journal, and one of the “Top 10 Environmentally Friendly Courses in the United States” by Links magazine. This historic course has been open since 1897, making Mohonk Mountain House one of the nation’s oldest golf courses still in operation. The course’s golf shop provides grip repair, golf apparel, bag storage, club cleaning, and electronic handicapping. 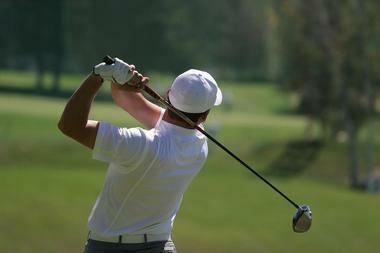 Golfers can also pick up rental clubs, snacks, and beverages there. 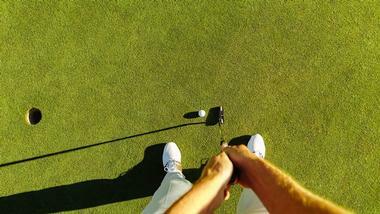 It’s a well-designed golf course for all skill levels, and with its spectacular scenery, a must-play for all. Mount Airy Casino Resort – Golf is a magnificent 18-hole championship golf course that is located in Mount Pocono, Pennsylvania. Each hole is uniquely inspired by Sports Illustrated’s “Best 18 Holes in America,” which was perfectly reinterpreted by golf architect Hal Purdy. Many locals in the area consider this 6,500-yard track to be ‘The Champion’ of Pocono Mountain courses. Golfers of all levels will be challenged with the strategically placed sand traps, dramatic elevation changes, and slick greens. While players make their way around this wonderfully-scenic course, they’ll have the opportunity to take in breathtaking views of mountain vistas, lush meadows, and bubbling streams. Pocono Hills Golf Course at The Villas is a fairly short, tight mountain golf course that’s been designed by architect Nicolas Psiahas within the Pocono Mountains in East Stroudsburg, Pennsylvania. This par-71, 18-hole championship golf course is known primarily for its lush-green, rolling fairways and challenging greens. The fairways on the front nine are lined with trees that lead to mid-sized, undulating greens, while the back-nine fairways are lined with beautiful villas. The course yardage ranges from 4,550 to 6,200 yards, making it the perfect course to play for all skill levels. Additional amenities include stay and play packages, golf carts, club rentals, a fully-stocked pro shop, and onsite restaurant. 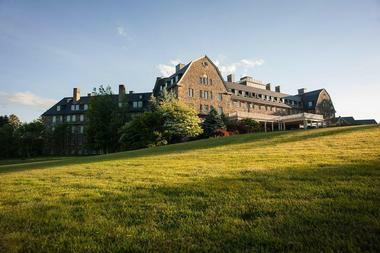 Pocono Manor Resort & Spa is a sprawling, five square-mile, mountain-top resort that is listed on the National Registry of Historic Places. Located in Pocono Manor, Pennsylvania, this 18-hole Championship East Course was designed by highly-acclaimed architects William Flynn and Donald Ross. Pocono Manor has welcomed golfers of varying skill levels for a number of years, even testing dozens of professionals during pro-am and tournament events. The course offers plenty of unique challenges, in the form of water hazards, multiple sand traps, elevation changes, and tree-lined fairways. Pocono Manor also provides golf club rentals, a full-length driving range, two practice greens for putting, and an award-winning pro shop. Rainbow Golf Club Inn and Suites is a USGA-rated, 18-hole golf facility that is nestled into the sprawling foothills of the Northern Catskill Mountains in Greenville, New York. The course is situated just a short driving distance from the Kingston/Saugerties area and Albany Capital District, and about a 2-hour drive from New York City’s metropolitan area. Despite its challenging layout and having one of the only island greens in the area, the course remains one of the Capital District’s best kept secrets. This par-71 championship course is also equipped with a full-length driving range, full-service kitchen and bar, and an outdoor dining deck. Rip Van Winkle Country Club is a family-owned, Donald Ross-designed golf course that is located in Palenville, New York, approximately 10 minutes from Catskill, Hunter, Woodstock, and Saugerties. Rolling, tree-lined fairways allow golfers to easily walk the course and soak in magnificent views; motorized carts are also available. 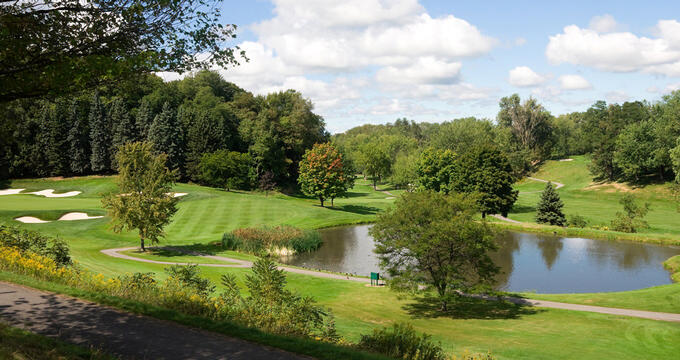 Rip Van Winkle’s wonderfully-unique, 9-hole course is the perfect starting point for beginners, as well as a challenge for the experienced and low-handicap golfers. The course is equipped with a full-service restaurant and a pro shop that features the latest apparel, equipment, and accessories. 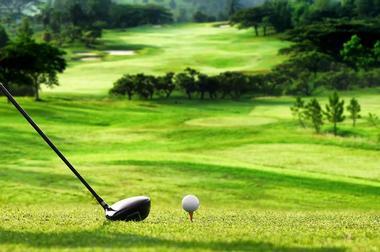 Golfers will enjoy lush-green, well-manicured fairways, true-rolling greens, and spectacular mountain views. 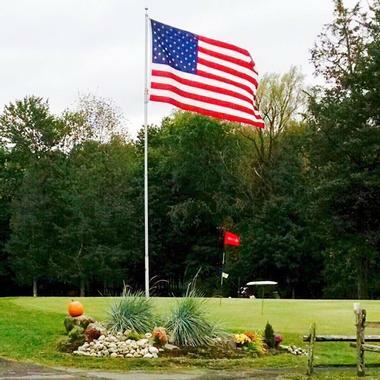 Situated atop of a peak on a high plateau, Skytop Lodge Golf Course is an award-winning golf course that is open for public play in Skytop, Pennsylvania. The course was proudly given a rating of 4 out of 5 by Golf Advisor; it’s also partnered with the Preferred Golf Club, a division of the Preferred Hotels & Resorts. This Pocono Mountains-style track is spread over a marvelous rolling terrain that features large, tree-lined fairways and smaller greens that can challenge golfers of all skill levels. The Skytop Pro Shop carries everything any golfer would need, from apparel to footwear to equipment to accessories. 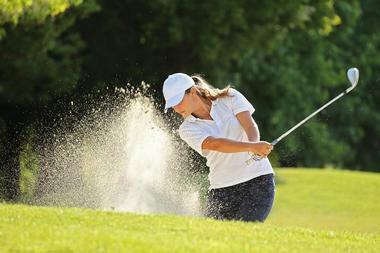 The course also offers golf schools, re-gripping of golf clubs, and tournament management. Split Rock Golf Club is located within the magnificent Pocono Mountains in Lake Harmony, Pennsylvania. The course is easily accessible just off of the Northeast Extension of the Pennsylvania Turnpike and Interstate 80. 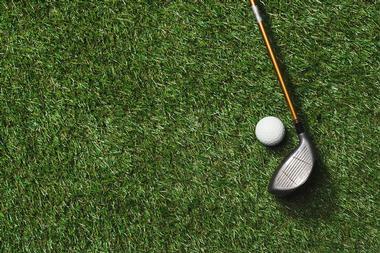 Split Rock offers 18 holes of Footgolf and 27 challenging holes of traditional golf. The course is well-known for its majestic 585-yard, par-5 11th hole, which boasts one of the prettiest views in all of the northeast, let alone any modern golf course of today. Golfers will have the opportunity to enter tournaments; take lessons from PGA-certified pros; and shop for some of the newest gear in the course’s well-stocked pro shop. 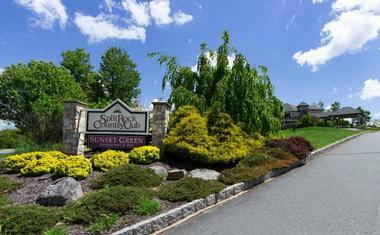 Sunny Hill Golf Course is a resort-style, championship golf course that is located in Greenville, New York. The course features wide fairways, immaculate greens, perfectly-sanded bunkers, and breathtaking views of the Great Northern Catskills Mountains in every direction. This course is well-suited for both the beginner and experienced golfer, providing a casual and relaxing golfing experience. Sunny Hill offers PGA-certified golf lessons for adults and kids, where they can learn about the game’s fundamentals, course management, and etiquette. The resort also offers magnificent all-inclusive golf packages for visitors to look into, providing comfortable lodging, two daily meals, and unlimited golf privileges with a motorized cart. The Country Club at Woodloch Springs is an 18-hole, par-72 championship golf course that is located within the Pocono Mountains in Hawley, Pennsylvania. This golfer’s paradise winds its way through 6,579 yards of broad upland meadows, lush wetlands, and fern-carpeted forest. With alternating pin placements, four different sets of tees, undulating greens, and plenty of elevation change, the course presents a variety of challenges that are perfect for all skill levels. GOLF Magazine has named it “one of the finest courses in America,” while Golf Digest has listed the course among their “Best Places to Play with a 4.5 Star Rating.” Golfers will enjoy a perfectly-manicured course, exceptional service, and stunning views on every hole. The Shawnee Inn and Golf Resort offers an exceptional hotel and 27-hole golf course that is located mostly on an island within the Delaware River. Shawnee is the first-ever golf course design by famed architect A.W. Tillinghast. The course is uniquely flat and classically designed in comparison to its counterparts within the Pocono Mountains. Shawnee is an excellent course for golfers to walk due to its minimal elevation change, giving players plenty of time to soak in the marvelous river and mountain views. The resort is also home to a full-length driving range and a Chip n’ Putt course that was designed by architect Tom Doak, featuring six fun little par-3 holes of varying distances. Thunderhart Golf Course and Resort is a challenging, par-72 championship golf course that is situated within the Catskill Basin, in Freehold, New York. This 6,482-yard course features narrow, tree-lined fairways, 15 strategically placed sand traps, and 11 shimmering ponds. The front nine offers a more traditional golf experience, while the back nine delivers a Parkland-style feel, as each hole is beautifully cut through the forest of the Catskills. With the Fireside Lounge, Clubhouse Grille, and outdoor Pavilion all located next to a picturesque pond, Thunderhart offers an idyllic setting for grabbing a pint and bite to eat after a memorable round, or just enjoying a fun group outing. Windham Country Club is a beautiful golf course that is situated high atop the Catskill Mountains in Windham, New York. This 18-hole golf course is open to the public, but delivers an opulent private club atmosphere. Windham is a challenging and wonderfully-scenic course that features immaculate fairways and greens, offering magnificent views of the Great Northern Catskills and Batavia Kill creek. This sprawling course stretches to 6,268 yards in length and is a par 71. Golfers will appreciate the condition the course is kept in, with its well-manicured bunkers, greens like velvet pool tables, and tightly-mown fairways. 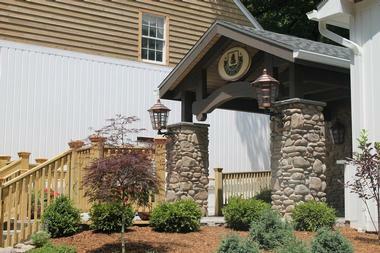 Mulligan’s Pub is attached to the clubhouse, offering delicious food and an outdoor deck. Wolf Hollow at the Water Gap Country Club is a very scenic mountain course that once hosted a Major event, located in Delaware Water Gap, Pennsylvania. This historic course was constructed in the 1920s and has had many legendary golfers walk its lush-green fairways. Rich in tradition and history, this links-style course was designed by the PGA’s first president, Robert White. It’s a shot-makers course where golfers will have the opportunity to hit some big drives and clean approaches; mishits are penalized severely, making it a challenging test for all skill levels. Golfers will enjoy marvelous views of the rolling mountains, surrounding woodlands, and local wildlife. There’s also a pro shop for any quick needs before the round.